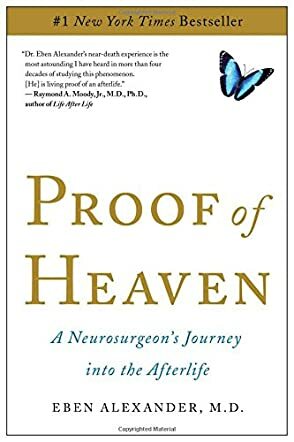 by Eben Alexander III M. D.
Contact Author - Eben Alexander III M. D.
Dr. Eben Alexander is a highly trained neurosurgeon whose beliefs weigh on the scientific side of the life scale. He does not believe in religion or spirituality and cannot understand why anybody would discount science that, in his eyes, nullifies such thinking. His life changes forever when his brain is attacked by a rare condition, leaving him without the capability to think or feel emotion. He falls into a coma and remains in that state for seven days. During this time, he experiences the afterlife and God. The doctors, with not a lot of other options, begin to discuss ending his treatment. To their dismay, Dr. Alexander's eyes suddenly open and he is cognitive. His life is now religion-based and he cannot imagine living any other way. This is his true story. He has been chastised by the scientific community for sharing his story with the world but he stands firm no matter what is said. It takes a strong person to stand up to the world and share an experience like this. It is a beautiful story that anybody with an open mind and heart will enjoy. Who knows...it might just be the story that brings many non-believers to Christ. After all, if a man of Dr. Eben Alexander's stature is willing to share something so spectacular, why wouldn't others want to hear what he has to say? You just cannot help feeling tremendous respect for the good doctor and his transformation.